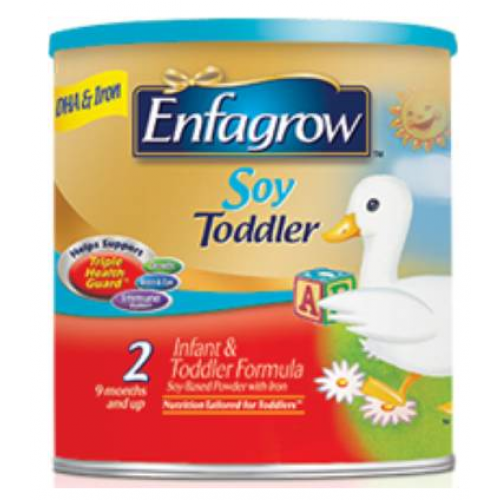 Enfagrow Soy Powder is perfect for children transitioning from Enfamil® ProSobee®, Enfagrow Soy is designed for toddlers 9 months and up experiencing fussiness and gas when soy is preferred. 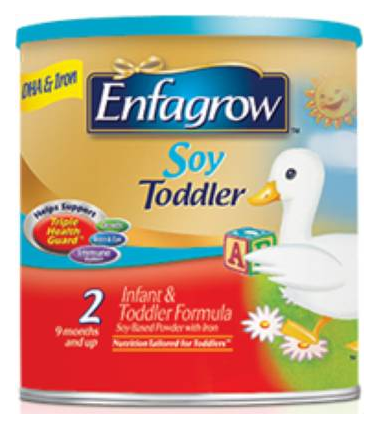 Enfagrow Soy Powder is milk-free and lactose-free. Has iron to help support mental development. 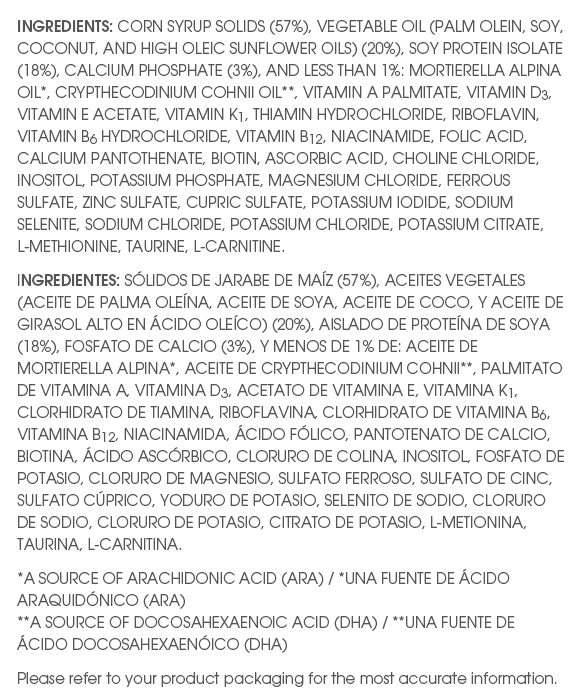 Fortified with antioxidants, like vitamins C and E, to help support your toddler's developing immune system.